The Ladder Rack Knot is easy to tie and though it may be known by other names, it is tied basically the same way. This is a great design for someone who is just beginning to learn to tie knots, or anyone for that matter. In other words, if you tie knots, this design should be in your knot library. 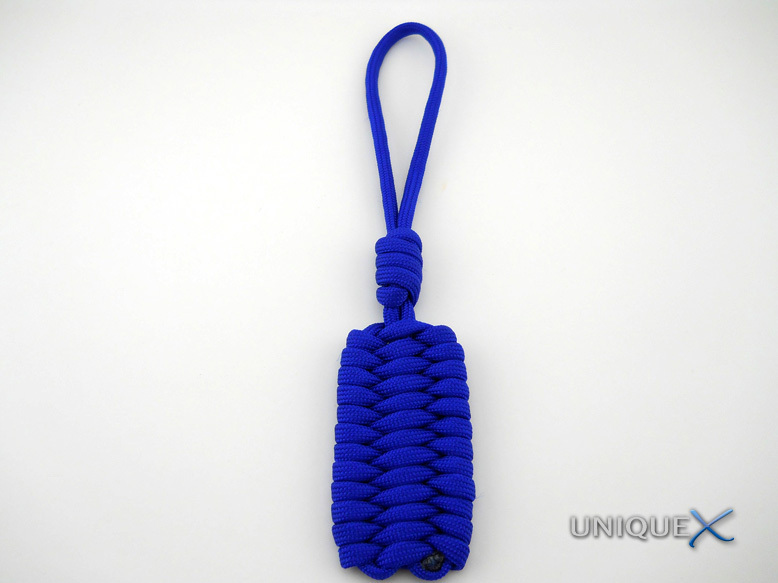 This design is the first of two posts that I will show how this knot can be expanded and the ways you can use it. There are several ways to learn to tie this knot available on the internet, but I followed the tutorial by Bud Brewer. J.D. at TyingItAllTogether calls the design a Trilobite and has two videos that you can use to learn to tie either the one color or two color design. To tie the blue Ladder Rack, I used six feet of paracord. 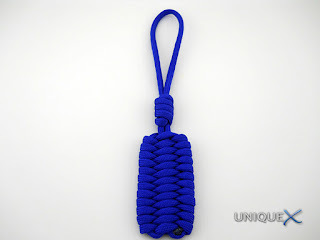 You will notice a knot on the loops of the lanyards, it is called a Matthew Walker Knot and though they may look a little different between the long blue and shorter lanyard, they are the same, I trebled the Matthew Walker Knot on the blue lanyard which all you have to do is add another turn or two around the two strands when tying. 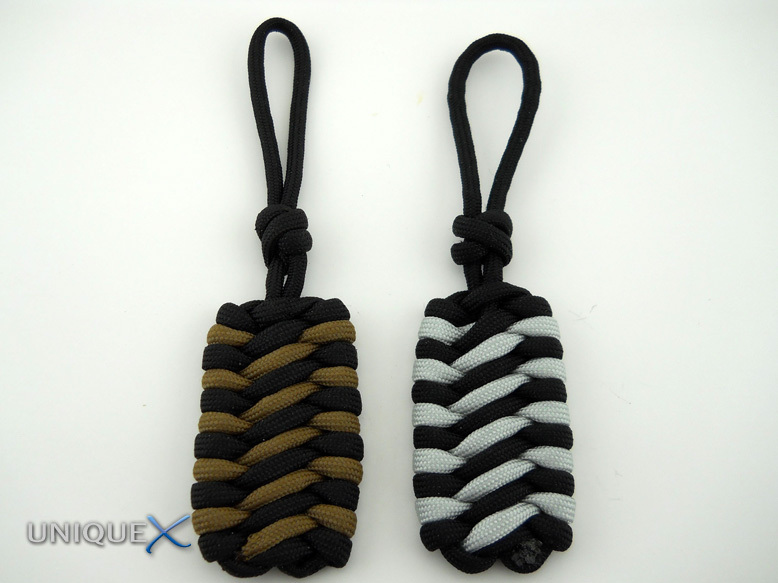 The two color Ladder Racks where tied with about three feet of black and about two feet of another color paracord. My version of a two color Ladder Rack Knot is a little different than the video from TIAT, but it's pretty simple to tie it either way, just weave in the second color after getting the Ladder Rack Knot started. 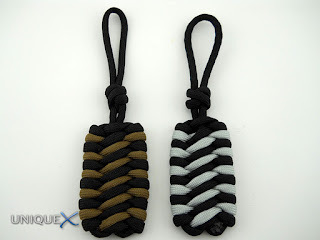 This design is a little different from the others, it slides freely up and down the black paracord. 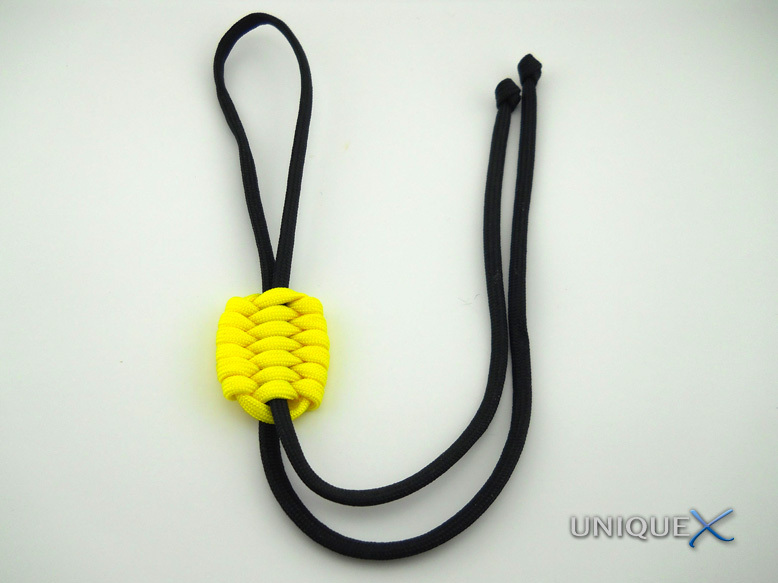 I tied it using about three feet of yellow paracord, and though it looks gutted, it's not, it's just cut from a batch of flat paracord (approximately eighteen inches). 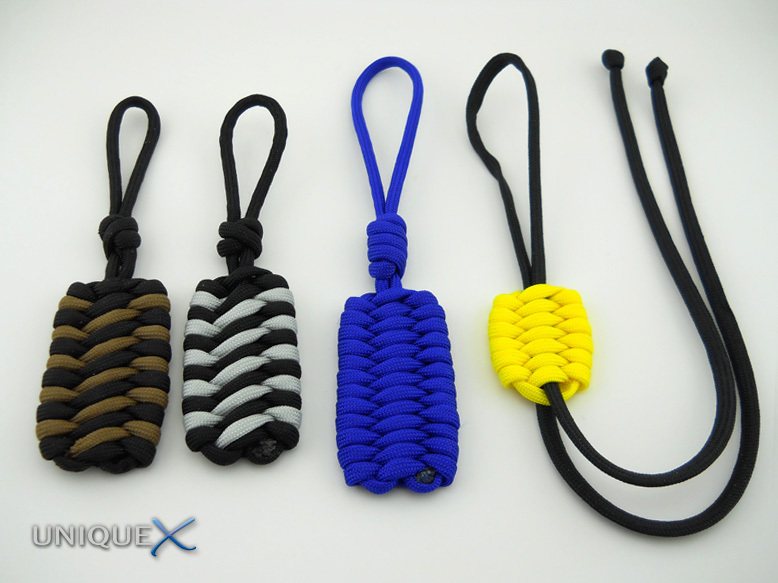 To tie it you will need to be familiar with tying the Ladder Rack Knot first. 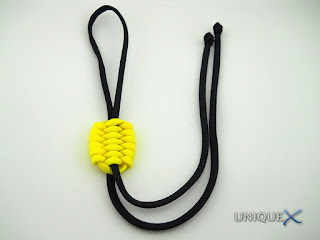 I tied the Slider by leaving out the part where you run the paracord down and then back up and went straight to weaving the yellow paracord around the black paracord.